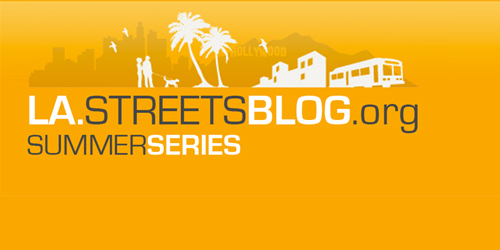 Tomorrow at 2 pm, the Streetsblog Summer Series continues with an exclusive interview with CD 6 City Council candidate Nury Martinez that we will broadcast live on our YouTube page, SoCal StreetsTube. After Council Member Tony Cardenas was elected to Congress, a vacancy appeared in his old Council District. The election will be held next week. The primary for the open seat was held the same day as the Mayoral election and other Council Districts, with Montañez and Nury Martinez emerging from the pack. Our interview with Montañez was broadcast yesterday and is archived at SoCal Streetstube and Streetsblog LITE. As always, if you have any questions for Martinez you can leave them in the comments section or tweet with hashtag #sblasummer. We’ll be talking about transportation issues in the East San Fernando Valley including the lack of sidewalks in some area and the East San Fernando Valley Transit Corridor Project. We look forward to an exciting conversation. And for those of you living in CD 6, just a reminder to get in your absentee ballots by tomorrow night or vote on Tuesday. Any of the proposed configurations advanced for the east San Fernando Valley transit corridor will in effect keep the mode share for bicycling along Van Nuys Blvd to less than one percent. This is due to requiring that a bicyclist ride in front of buses or cars in a through lane. C1-The so-called “bike lanes” are in reality bus only lanes that bicycles will be allowed to use. M4-Bike lanes at mid-block and then bicycles are expected to travel in front of fast moving motor vehicles in a through lane where the transit stations are located. M7-Again, bike lanes only at mid-block with bicycles thrown into a mixed traffic through lane where the transit stations are located. According to Portland Oregon survey results, for 99% of adults, riding in front of fast moving vehicles on a busy street exceeds their tolerance for stress. Having bike lanes only for part of the route does not make up for a link that is too stressful. The overwhelming majority of adults will simply not ride a bicycle there. The reason for my above post is that CD6 candidate Cindy Montanez mentioned in the Streetsblog interview the importance of bike paths after she talked about the ESFV transit project. Of the total amount of Measure R monies to be spent within the boundaries of the city of Los Angeles, only about 1% of that goes to on-street bicycle improvements and that is from the 15% set-aside that given to the city for local transportation funding. The city has not built much of anything for bicycling with that money. Its been mainly used for paint treatments on existing roadways. The construction for bicycling so far in Los Angeles is a grand total of 56 miles of mixed use or bike only paths. Compare that to the 6,500 miles of streets and 160 miles of freeways in the city of LA. About 5,400 miles of streets have sidewalks if the mixed use paths are included. Is a wonder that there is about a 1.5% modal share for bicycling when there is a ratio of less than 3% mixed use/bike paths to the 2,600 miles of collector and arterial streets. If 1% of the minimum $1.8 billion that is required for a light-rail train along this corridor is set-aside for a bike way, then that would be about $18 million for this 11-mile project, or $1.6 million a mile. Probably enough to do a grade separated project with dedicated bicycle signals at the major intersections. If BRT is chosen, then 1% of the minimum $250 million needed to complete that project would be $2.5 million, or $227,000 a mile. Enough to do a at grade barrier protected bike way along this corridor including dedicated signals. To get the mass population to ride a bicycle for utilitarian purposes there needs to be an extensive network of bike ways that provide barriers between the motorists and bicyclists on busy streets. Otherwise, the potential mode share for bicycling is restricted to less than 10%. Oh please. Nury never walks anywhere, and I doubt she’s even walking precincts…walking has never been her strength. A complete joke to hear her say “she walked” to work, or “carpooled” when she lived in San Fernando, or anywhere. Yeah homegirl, you carpooled from San Fernando to Pacoima? Please. Nobody really knows what exactly she did for San Fernando when she sat on council in terms of the creation of parks space, or any other project/policy that’s urban planning related. The primary building stones (rezoning, mix-used plazas, a METRO funded Transit Plaza, state funded new park) for that city to embrace smart growth came from her opponent BTW. Surprised Nury wasn’t asked what she did on that city, the small size of the city gives policymakers a real opportunity to experiment in terms of urban policy & planning. Because let’s be real, Veronica Padilla is the real brains at Pacoima Beautiful, she’s the main ideas person. Nury is just a face who landed there. Hell, it’s been known Nury always thought the Pacoima Wash Greenway plan (as presented by Cal Poly Pomona’s Studio 606) was a joke, some “white progressive idea” pushed by her “elitist” and “out of touch” counter part on council. Now suddenly she’s Jane Jacobs? Check out her jab at “so-called progressives” in rapidly changing neighborhoods– that’s coded word for white people (2007). Oh how the tables turn. Someone’s angry. Nury gave a great interview, so much better than Cindy’s. Much more genuine as well. What’s up with people bringing up all this old stuff about her. I like how you have to back over 8 years to find some random comment written up by the ever so credible LAWeekly (sarcasm!). Get real. Nury rocks! “Veronica Padilla is the main ideas person”… I don’t think you could have met her. Vapid nothingness and certainly no ideas. 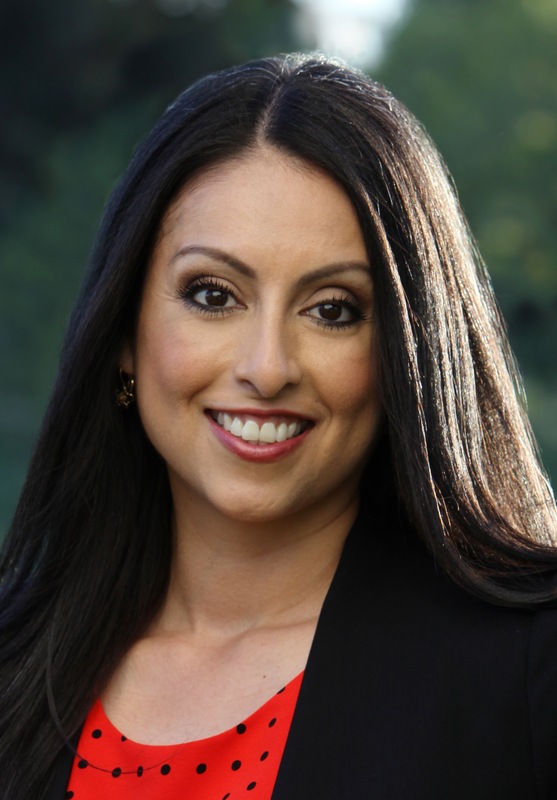 Today at 11 am, the Streetsblog Summer Series continues with an exclusive interview with CD 6 City Council candidate Cindy Montañez that we will broadcast live on our YouTube page, SoCal StreetsTube. For more details, click here.